The Triigger 275 is the latest addition to Vertagear gaming chair product family. Over 275 individual components are assembled together to construct the astonishingly beautiful Triigger 275. The Triigger 275 is the latest addition to Vertagear gaming chair product family. Over 275 individual components are meticulously assembled together to construct the astonishingly beautiful Triigger 275. Modern Formula One cars use paddle shifters for gear changing. It is the most convenient and efficient way, and has been adapted by most exotic sports cars. 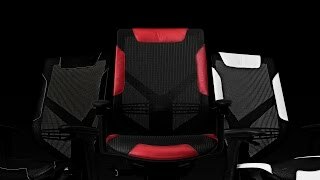 Competitive gaming is no less intense comparing to competitive racing, and gamers need the most convenient and efficient way to adjust their sitting positions for the ultimate comfort. We assigned the top 2 most frequently adjusted functions to our armrests, which are the closest position to gamers hands. With these control triggers connected with high strength steel cables pulling the mechanism, users can adjust seat height and tilt angle within 0.32 seconds, which is 8 times faster than normal chairs. Our inspiration did not stop with Formula One cars. As in some of the most iconic bridges in the world, and often the longest span bridges, cables are the most important role in our lightning fast Triigger mechanism. We implemented industrial grade, steel stranded cables (the same method as in those long span bridges) to conduct your chair adjustment orders. Where Does the Cable Go? All the tiny parts adjusting your seat height, tilt angle and tilt tension are concealed in this Dual Spring Hub. It contains over 80 individual components, including gears, linkages, shafts, blocks, shields, brackets, fastening hardware and so on. A specially formulated mixture of steel with silicon and manganese is the key for the dual springs. Cushioned and contoured to fit arms, our armrests come with 2 directional adjustability. With better support to gamer's arms in various positions, they can more effectively relieve muscle strain, fatigue from shoulders, and take pressure off of wrists. During intensive gaming sessions, we do not wish users to keep their hands away for more than a second to make adjustments to their chair. Triigger chairs allow users to adjust seating postions as fast as 0.32 seconds. The back of Triigger chairs can recline 15 degrees, and be locked into 22 different positions, making it stay at every comfortable position. Usually when people purchase a chair, the seat depth is fixed. By pushing and holding a button, Triigger 275 allows users to slide the seat back and forth so users can have a more flexible seat depth. Other than the height adjustable back support, the built-in lumbar support on Triigger 275 is also height adjustable. In combination with the back support, it can provide the best possible position for users’ comfort. Aluminum alloy frame for light weight and durability. 12.9 class is one of the strongest screws you can find in non-military products. It has proof load of 970 MPa or 140,000 PSI, 20,000 more than US standard Grade 8 at 120,000 PSI. Traditionally, there is some gap between the caster shaft and the cavity in the base. When you move the chair around on rough surface, the shaft will hit the wall of the cavity and make noise. We implemented a rubber silencer in the cavity so the shaft will not make noise at any time, and the caster will not fall out by accident. The Triigger 275 gaming series chairs come with Holtron Hub-less Casters. The 65mm version features roller bearing for pleasing appearance and smooth operation. Quality textile banded with finest DuPont TPEE which causes the mesh to withhold high-temperature and heavy hydraulic movements, optimal for long hours of use and breathability. The elastomer in the DuPont TPEE keeps the retention and prolongs the life span of the mesh. Exquisitely handcrafted calfskin leather combines skilled craftsmanship with advanced design, cutting, and stitching techniques. The incredibly fine grain leather has a smooth, luxurious texture, creating extra comfort without sacrificing durability. 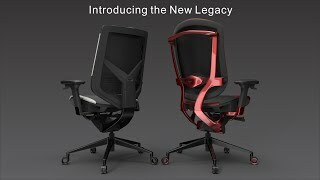 More links for "Gaming Series Triigger Line 275 Gaming Chair Black/White Edition"
Noiseblocker eLoop fans feature bionic loop rotors that increase the air flow and reduce the volume output of the fan. A Digital means to connect up your compatible audio devices for the best audio experience.